How Much Does Sleep Deprivation Cost? The world seems to teach that the more you work, the more money you can make. It makes sense, right? You work more, you earn more? So let’s all sleep less, work more, and retire early. Wrong. When working under fatigue, statistics actually show that productivity plummets as costs go up. Consider the story of Bob, a 9 to 5 junior accountant. At his firm, an opportunity has opened up for him to become a partner. To show his dedication, he begins working overtime, taking projects home, and cutting out two to three hours of sleep. Bob’s alarm blares at 6:00 a.m. and he downs a cup of coffee and sluggishly trundles into work. Unfortunately, his head is pounding and he keeps dozing off. To make up for this he stays up that evening and works even more. Bob enters a vicious cycle of working late to make up for the less productive time during the day. All the while Bob’s productivity is shifting, his health deteriorates, he misses work, and instead of getting the big promotion, Bob is fired. The truth is that sleep deprivation costs both directly and indirectly, not to mention the loss in human life. Some say it costs us billions. So how does it all add up? Sleeping is an essential part of human nature and it is something that is being sacrificed for a cause that does not statistically add up. Around 3% of GDP is lost due to sleep deprivation, whereas a decrease in this statistic has the potential to add billions back into the economy. 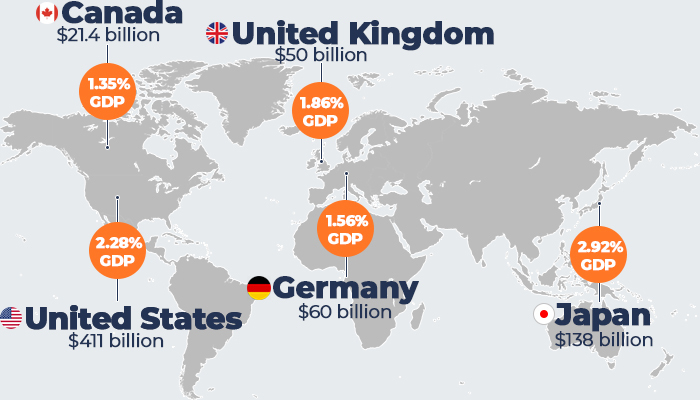 This map shows how much money is lost annually in the United States, Canada, the United Kingdom, Germany, and Japan. The old saying, “time is money” is more relevant here than ever. Work time lost due to lack of sleep is literal money being wasted. The chart below demonstrates the correlation between lost time and lost money. What could be the cause of this and how does it affect the average worker and their employer? As people forgo sleep they experience a drop in cognitive abilities. This can affect mood, memory, attention, performance, and more. 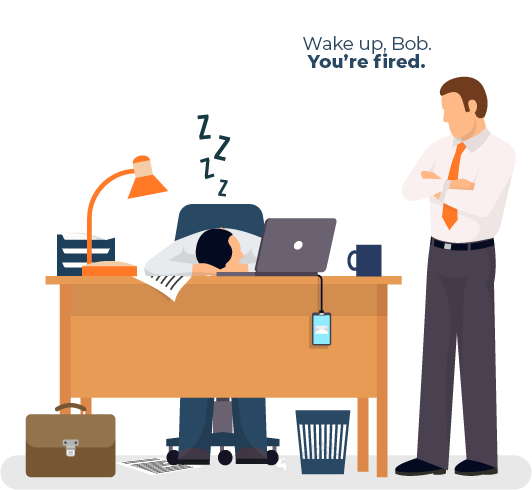 Throughout history, lack of sleep has helped lead to several serious workplace accidents. The following occurred due in part to human error and have been linked to possible sleep deprivation. Too big to depict on a timeline are the hundreds of lives lost every year due to smaller scale vehicular, medical, and factory related accidents caused by sleep deprivation. Most of the time sleep deprivation will not cost the lives of others. The greater risk could be at your own expense. Rand.org reports that sleep deprivation increases the risk of mortality by 13 percent. The following are only a few of the most serious conditions caused by sleep deprivation. “For 1 in 2 workers, a regular caffeine fix is essential to their work routine” — says Mary Lorenz from CareerBuilder. Many offices provide coffee for their employees. Therefore, if workers were to get better sleep the amount of coffee an employer provides would likely diminish. 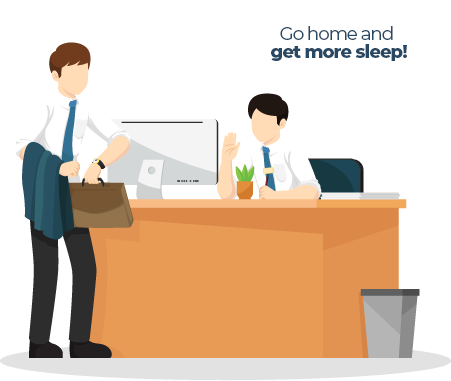 Many workers try to compensate for lost sleep by staying in the office late. This can require employers to leave amenities on past hours, costing companies hundreds to thousands of dollars. Workers end up shelling out a good deal of their own money to fight insomnia and other sleep-related disorders. 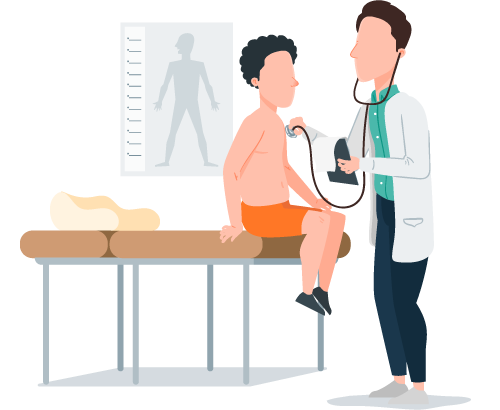 Although not all of these statistics are directly related to lack of sleep, they are pretty telling as to how much sleep deprivation can cost individuals and families. Economic status has been known to affect how much sleep people get. Workers in lower-income families tend to sleep less than middle and upper class. Work conditions like low wages and graveyard shifts, among other factors, likely produce this statistic. 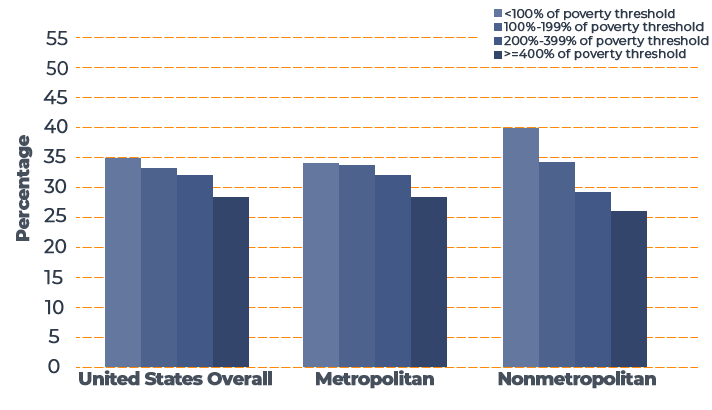 A study done by the 2013 National Health Interview Survey, displays the percentage of low-income families who get fewer than 6 hours of sleep each night. Not all companies need to pay their employees to get rest. The Centers for Disease Control and Prevention recommends the following. Employers can consider adjusting work schedules to allow their workers time to get enough sleep. Employers can also educate their shift workers about how to improve their sleep. 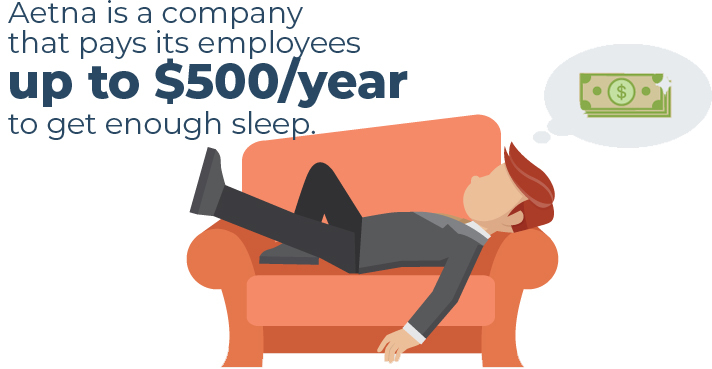 Encouraging employees to get healthy sleep could pay off in the long run. As they get more sleep, they are more likely to come to work and crush it. If corporations want to make more money, they could begin by encouraging good sleep practices around the workplace. RAND pointed out that if workers could increase their sleep by just an hour, moving from 6 to 7 hours of rest, this could improve the U.S economy by 224.6 billion dollars. So, here is our challenge to you. If you are in charge of a group of workers, share this info and teach good sleep practices. Then go and practice what you preach. If you are an employee or work for yourself, go to bed tonight and do what you can do get between 7 and 8 hours of sleep. As we’ve learned, sleep can equal significant savings and earnings. Work smarter, not harder by getting off on the right foot – a good night’s rest!